New Delhi, April 14: Veteran SP leader Aazam Khan has stoked a controversy with an "underwear" Jibe against film actor and BJP candidate Jaya Prada, fighting the Lok Sabha polls from Rampur against him. 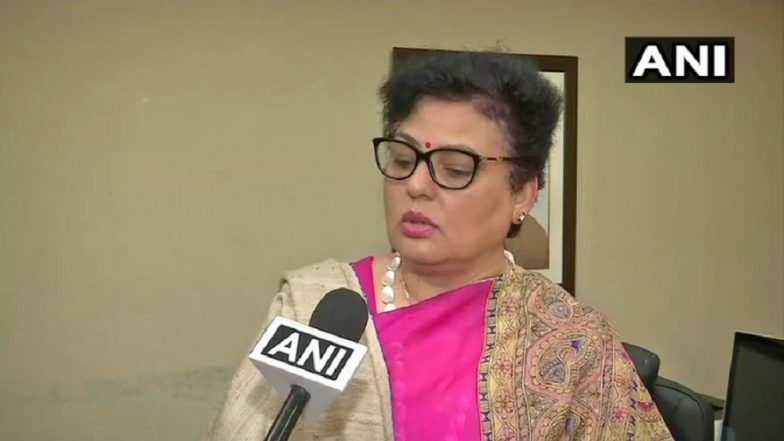 National Commission for Women Chairperson Rekha Sharma termed Khan's alleged below-the-belt remarks against the actor as "extremely disgraceful" and said the women panel will be sending a show cause notice to him. Azam Khan on Objectionable Remarks Against Jaya Prada: I Will Not Contest Polls if Proved Guilty. Reacting to Khan's remarks, she tweeted that the NCW would also be requesting the Election Commission to bar him from contesting elections. Sharma reacted after taking cognisance of another tweet by an user, who had also uploaded a video of the SP leader's purported jibe. The video of Khan making the "abusive" remarks was also doing rounds on various social media platforms. Azam Khan's 'Khaki Underwear' Jibe at Jaya Prada Further Lowers Discourse in Lok Sabha Elections 2019; Watch Video. The tweet, which the NCW chairperson took note of quoted Khan as saying "Jaya Prada ke neeche ka underwear Khaki rang ka hai”. Khan allegedly made the remarks while addressing a poll campaign rally at Rampur, which goes to polls on April 23 along with a total of 115 constituencies across 15 states in the third phase of the elections. "Extremely disgraceful," said Sharma, reacting to Khan's remark. "Aazam Khan is always abusive and disrespectful towards women. The NCW will take suo motu cognisance and will send a notice to him. Will request Election Commission to bar him from contesting elections,” tweeted the NCW chairperson.